We handle non-resident vehicles and most vehicles not in the California records. We will assist you with all your DMV documents. Answer any questions you may have and provide the necessary forms to help expedite your motor vehicle transaction. We will drive to your location!!! 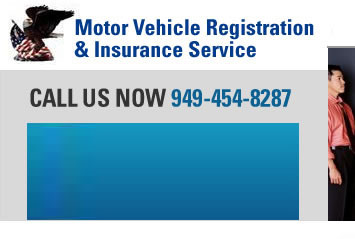 We can renew your auto, truck, motorcycle, trailer, & boat registration. We provide instant service for your auto and truck registration at our location. What documents are required before you make the purchase? Does the vehicle need to be smogged? How do you know if and when you need to submit a smog certification? We can assist you and provide this information. Not sure what your renewal fees are? Did not receive notice from the department of motor vehicles? Our service can provide these fees for you. Lost or stolen registration, stickers or plates? Our registration service can help! Changed your address? Want to notify the DMV? Change of address for both your driver?s license and auto registration? Sold or gifted your vehicle to another party? As the seller, what do you do after transfer of title has taken place? What is your legal liability? What is required to release the prior owner of any legal liability? Purchased vehicle and the registration is expired. Can you drive the vehicle with an expired registation? Will the vehicle be impounded should you be stopped by the police?